Hi crafty followers! 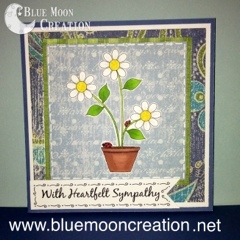 Thia here from Blue Moon Creation with a floral sympathy card that I created as a Design Team Member for Crafty Card Gallery. 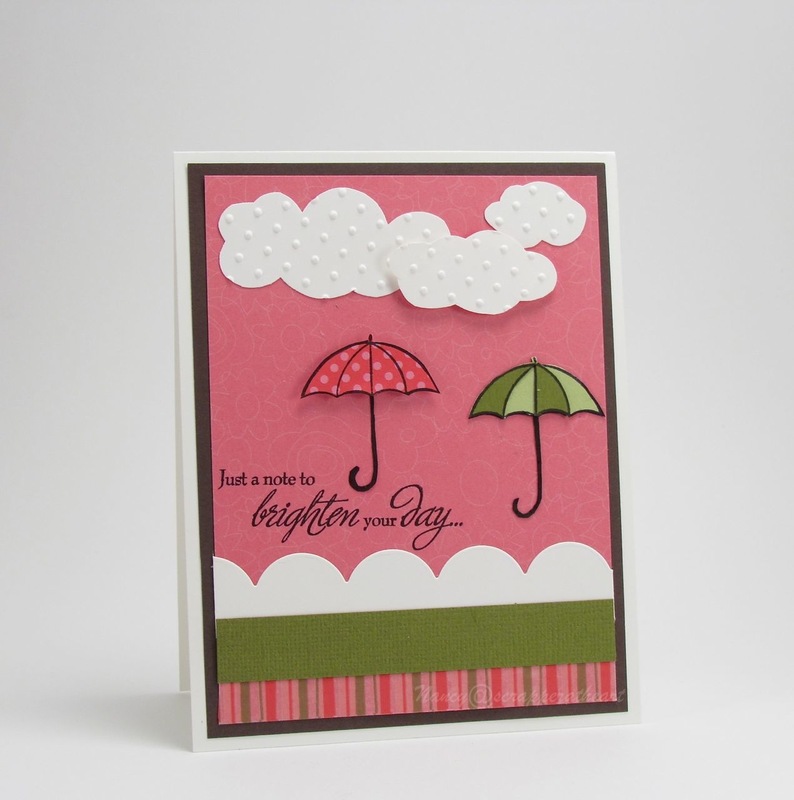 This card is very simple to make (once you decide on your paper colors/patterned papers….lol). The images on the card are digi stamps (Potted Flower, Sympathy Banner, Sympathy Sentiment) from Get Inky! I colored the flowers and the pot using my copic markers and added some ladybugs. These digis that I used are from my NEW company, Get Inky! 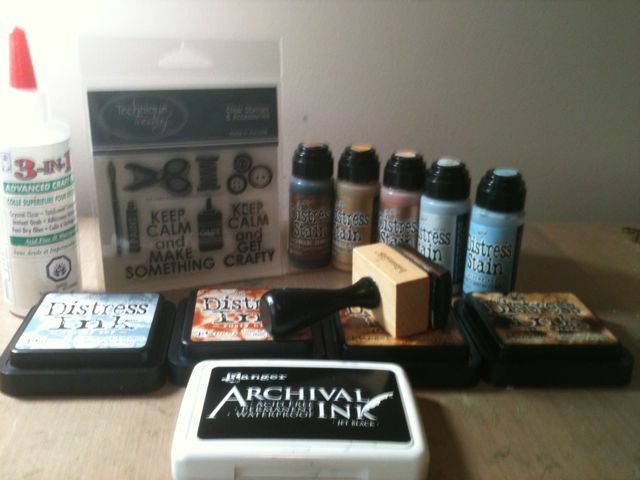 Stamps, and we have a CHALLENGE BLOG with bi-weekly challenges. This card will be featured as one of the sample inspiration cards for the next challenge that begins TOMORROW. Every participant will receive 3 FREE DIGI’s of their choice! I hope you can stop by and play along too! Since they are new, they are having some really nice GIVEAWAYS!!! It’s Cheryl Wright with you today. It’s my turn to post a project for April’s DT Stamp Challenge. For this challenge we had to use a stamp set we haven’t used, which worked out perfectly since I’d recently received a stamp set as a gift from a very dear friend. I hadn’t opened it yet, so it was totally perfect for the challenge. My friend lives all the way across the other side of the world to me, so it was no mean feat to get it to me, and I’m extremely grateful to her. The image is from Gina K Designs “Birthday Hoot” set, and is so much fun! This cute little owl could be used for just about any occassion, but I’ve used it with its original greeting, so it’s a birthday card in this case. All details of how I made this card can be found on my blog. Thanks so much for visiting, and I hope you enjoy my card! It’s Nancy here and my turn to post a project for April’s Stamp Challenge. For this challenge we we’re asked to either use a stamp set that’s been sitting on our desk a while, something you bought and forgot about, or your most recent purchase. Well, my card today has a mixture of all 3. First, The Umbrella stamp I decided to use, I have had for at least 8 years. I had yet to put it away. Finally, The sentiment on this card is new! It is from Close To My Heart…..and I love it! The stamp set is called Card Chatter- Sympathy Occasions and I highly recommend it. Thanks for stoppin in…and if you need any more details you may stop by my blog! Thanks for the great challenge Jennifer! Today, we’re sharing with you our “stamp challenge” for this month with Crafty Card Gallery design team. For this challenge we we’re asked to: use a stamp set that’s been sitting there; either something you bought & forgot about or your most recent purchase. and the inside with room for a personalized message. For our project we decided to create a triple layered card. I’ve been wanting to do one for awhile. It took the two of us a short time to make it the other evening and we can’t wait to do it again; in fact we went and purchased some other stamps yesterday so we can make some more! and to all my friends who have requested that I set up a how to for Grunge, I decided to use this card, because it has a bit of grunge on it. 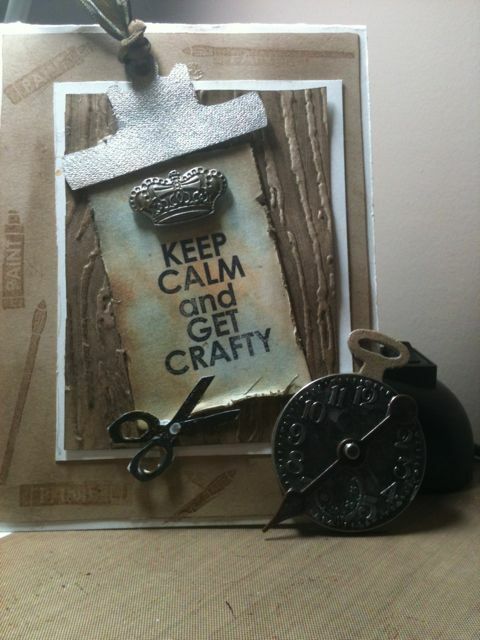 Sizzix embossing folder, woodgrain/Tim Holtz ideology parts/time pieces/game spinners/7 gypsies metal pieces. (these supplies are great for embellishing projects). I inked the inside of the sizzix embossing folder-this is a really cool technique, if you want your embossed image to have depth. Notice the effect it gives on the woodgrain…next I distressed the edges and parts of the background. The same steps are applied here, except I used a distress tool and ink on the edges. You can see how vintage the paper looks…it’s pretty cool. Next the grunge board pieces are inked with distress stains and sanded, then inked around the edges. This gives the pieces a grunge effect. Another way to achieve a grunge effect is to use distress paint/stains on metal. Dab the paint on a craft sheet, using your fingers apply the paint to the metal until desired color is reached. (don’t forget to heat set it-so it won’t rub off) attach a game spinner to the time piece. It can be glued down, but I prefer to leave it as is. This way it can spin around. As you can see, there are many ways to create a grunge look by using different mediums, embellishments, papers…in just minutes. For more fun projects with the grunge look…hop on over to my blog – http://www.flowerpower94.wordpress.com where the possibilities are endless. Thanks for stopping by and I hope you visit Crafty Card Gallery‘s page and show some love there. Until next time…..